After reading this L.A. times article from Saturday, I have to ask myself, why is the government surprised that conforming loans, the “safe bet investment” 30 year fixed rate loans that have been the bread and butter of mortgage loans for generations, are suddenly going into foreclosure? They seem shocked by this. I’m not. It makes perfect sense to me. Unemployment – The article is right that unemployment is playing a factor, I’ll agree with that. Strategic Defaults – What the article didn’t mention are strategic defaults. People that put down 20%-30% on the house have long since lost their down payment from their plummeting home value. And when you lose your down payment, and then continue to watch the house decline in value, you start to consider handing the house over to the bank and walking away. The incentives to walk away are much stronger than the penalties. Homeowners with safe mortgages (and of course unsafe like sub-prime and Alt-A) are deciding more and more that the decline in the value of their house is worth being foreclosed on and renting for several years while they save money for a new house that will be much cheaper in a few years. In fact, if they use an FHA loan in the future, even with a foreclosure on their record, they will only have to wait 3 years to qualify. So think about it…dump a house that’s losing value by the day, find a much cheaper but nice rental and save lots of money every month, and then buy back into the housing market in 3 years with a big down payment when cheap houses are saturating the market and the buyer is calling all the shots. And consider that as home prices continue to decline, this idea sounds better and better to more and more home owners that are underwater on their mortgages. 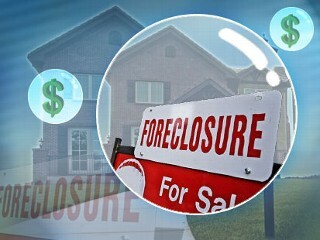 This will generate more and more people to perform a strategic default, which in turn creates more foreclosures which adds fuel to the decline in prices, which makes this idea sound better and better to more and more home owners that are underwater….you get the idea. A nice, classic example of a vicious cycle. Sounds good to me. Sounds great to them. ‹ Why do the rich need a tax credit? Because they aren’t rich, that’s why.